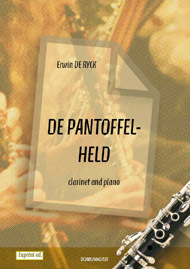 The contrabass clarinet is the giant of the clarinet family - even with the tubing folded back on itself, the instrument can be up to 2.31 metres ( 7 ½ feet) long. A rarely used instrument, the contrabass is to be found in clarinet choirs, wind ensembles and occasionally in specialist parts in an orchestra. Some modern composers are exploring the uses of this giant clarinet, but its very size makes it off-putting for many players. The contrabass is pitched in B flat and sounds an octave below the bass version of the clarinet, and can play lower than the double bass. It is so large that the player must sit on a stool while the instrument is rested on the floor. As with other clarinets, the contrabass needs its own sized reeds in order to play. 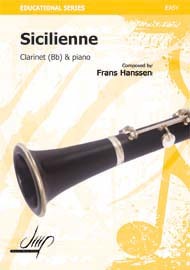 Very little original music is written for the contrabass, with much of its solo repertoire being arrangements of music written for clarinet in either B flat or bass, or for contrabass saxophone or tuba. 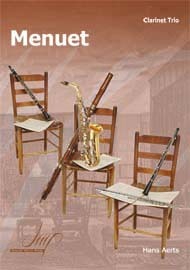 Some of the few pieces of music written specifically for the contrabass include ‘Scherzo Fantastique’ by Alfred Reed and Rondo for Contrabass Clarinet and Piano by Alexander von Kreisler. Many new music and experimental music groups are now often including a contrabass, often in place of a tuba, utilizing the earthy yet surprisingly agile sounds it can yield.